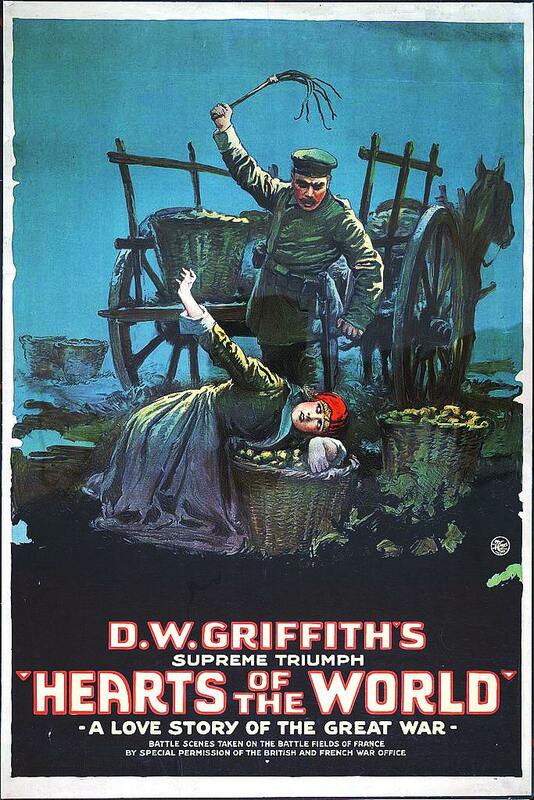 An American girl (Lillian Gish) living in France falls in love with the American boy (Robert Harron) living next door; but before they can marry, he goes off to fight against the Germans in World War I.
D.W. Griffith’s follow-up to Intolerance (1916) was this patently propagandist wartime melodrama, designed to encourage Americans to assist the British in fighting the Great War (though by the time the film was released, Americans were already squarely involved). The story itself is little more than a crutch upon which Griffith hangs his admittedly impressive footage of battles and the wartime havoc wreaked upon nearby villagers — but viewers will likely find themselves struggling to stay engaged overall. A minor subplot involving a vamp (Dorothy Gish) who tries to steal the affections of Lillian Gish’s betrothed doesn’t really go anywhere; the bulk of the film is concerned with following Harron as he struggles to survive a near-fatal skirmish, then goes undercover as a spy, while Lillian pines for her presumed-dead lover and must defend her virtue against Evil Germans. Check out TCM’s article to read more on the inception and production of this film, which is worth a look for historical purposes but not all-around must-see viewing. No; this one is only must-see for Griffith completists.